Have you ever wondered what people mean when they describe wine as bold, woodsy, robust, and other words? The Pocket Wine app for your iPod touch, iPad, and iPhone makes it possible for even wine novices to start to understand what makes each wine unique and how to pair it with different foods. There are over 100 different blends and varieties of grapes to learn about which means by the time you're done with this app you'll be on your way to becoming an expert. With the Pocket Wine app there is nothing that can stop you from becoming a wine expert. The app examines more than 100 grape varieties and blends so that once you understand them you will be able to understand any wine. It's important to note that as developers state this app doesn't review specific wines rather it is meant to help you understand the make-up of each one so you can purchase one that meets what you're looking for. The app can however make suggestions on what styles would likely make you the most happy once you answer a series of questions. The app requires iOS 7.0 or later to use and in its last update there were some bug fixes, content was revised, content was increased, and more features were added. The app has 4.5 out of five stars from users who have called it easy to explore, informative, and useful. 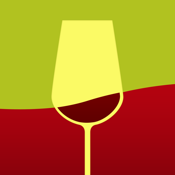 The Pocket Wine app is filled with professional level information and tools that will make it a smooth learning process. There are definitions of each wine style, descriptions of food pairing with a regional wine, and even a pairing tool that helps you figure out the style of wine for hundreds of recipes. The search tool can make finding information very quick so if you happen to be looking for a particular style you won’t need to waste all kinds of time. The wine glossary is also a wonderful tool to make use of even if you think you have a pretty good grasp of the lingo. The guide is obviously ideal for anyone who is looking to plan a wine tour or trip built around wineries but at the same time it acts as a useful everyday tool. The navigation bar on the bottom of the screen is what makes this app such a breeze to move through. The Pocket Wine app for your iPod touch, iPad, and iPhone can act as that jumping off point when you are trying to learn about the different styles of wine. The app offers simple navigation, a large amount of content, and a positive user experience.